HDMS Najaden was a frigate of the Royal Dano-Norwegian Navy, which she served from 1796 to 1807 until the British captured her in 1807. While in Dano-Norwegian service she participated in an action at Tripoli, North Africa. She served the Royal Navy as the fifth rate HMS Nyaden from 1808 until 1812 when she was broken up. 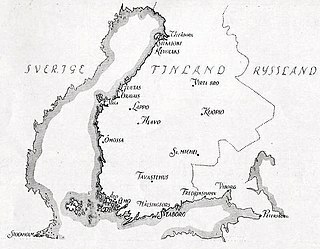 During her brief British service she participated in some small attacks in the Barents Sea during the Anglo-Russian War. HMS Erebus was originally built as a Royal Navy fireship, but served as a sloop and was re-rated as such in March 1808. She served in the Baltic during the Gunboat and Anglo-Russian Wars, where in 1809 she was briefly converted to a fireship, and then served in the War of 1812. In 1814 she was converted to a rocket vessel to fire Congreve rockets. While serving off America, Erebus participated in the sack of Alexandria, Virginia, and launched the rockets that bombarded Fort McHenry in Baltimore on 13 September 1814. In March 1815, off Georgia, she fired the second-to-the-last-shot of the war. She was laid up in 1816 and sold for breaking up in 1819. HMS Clio was Cruizer-class brig-sloop of the Royal Navy, launched at James Betts' shipyard in Mistleythorn in Essex on 10 January 1807. Her establishment was 71 officers and men, 24 boys and 20 marines. She served in the Baltic during the Napoleonic Wars, accomplished the re-establishment of British rule on the Falkland Islands in 1833, and participated in the First Opium War. She was broken up in 1845. Viala was a 74-gun Téméraire-class ship of the line of the French Navy launched in 1795. 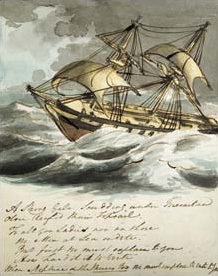 The Royal Navy captured her in 1806 and sold her in 1814. HMS Centaur was a 74-gun third rate of the Royal Navy, launched on 14 March 1797 at Woolwich. She served as Sir Samuel Hood's flagship in the Leeward Islands and the Channel. During her 22-year career Centaur saw action in the Mediterranean, the Channel, the West Indies, and the Baltic, fighting the French, the Dutch, the Danes, and the Russians. She was broken up in 1819. HMS Gladiator was a 44-gun fifth-rate Roebuck-class ship of the Royal Navy. She was launched on 20 January 1783 by Henry Adams of Bucklers Hard. She spent her entire career on harbour service, never putting to sea. Even so, her crew earned prize money for the seizure of two Russian and five American ships. Her sessile existence made her an excellent venue for courts-martial and a number of notable ones took place aboard her. She was broken up in 1817. Admiral of the Fleet Sir Thomas Byam Martin, was a Royal Navy officer. As captain of fifth-rate HMS Fisgard he took part in a duel with the French ship Immortalité and captured her at the Battle of Tory Island during the French Revolutionary Wars. Then while in command of the third-rate HMS Implacable in the Baltic Sea and attached to the Swedish Navy he took part in the capture the Russian ship Sewolod (Vsevolod) during the Napoleonic Wars. The Russian ship Vsevolod (1796) was a 74-gun ship of the line launched in 1796. She served in the North Sea and the Baltic until the British 74-gun third rates Implacable and HMS Centaur1= destroyed her in 1808 during the Anglo-Russian War (1807-1812). The Russian cutter Opyt (1796) was launched in 1806. The British 44-gun frigate Salsette captured Opyt in 1808 in the Baltic during the Anglo-Russian War (1807-1812) after her captain and crew put up a heroic resistance. The Admiralty took her into service as HMS Baltic. She served briefly with the British fleet under Vice-Admiral Sir James Saumarez in the Baltic before being sold in 1810. HMS Salsette was a Perseverance-class fifth-rate frigate of a nominal 36 guns, launched in 1805. The East India Company built her for the Royal Navy at the Company's dockyards in Bombay. She was the Navy's first teak-built ship. HDMS Allart, a brig launched at Copenhagen in June 1807, was amongst the ships taken by the British after the second Battle of Copenhagen. In British service, she was recaptured by Danish-Norwegian gunboats after venturing too close inshore. Her subsequent service was in the Dano-Norwegian Navy's Norwegian Brig Division, which harried enemy frigates and convoys in Norwegian waters. On the separation of Denmark from Norway in 1814, Allart transferred to the Norwegian navy, who sold her in 1825. HMS Moselle was a Cruizer-class brig-sloop of the Royal Navy, launched in 1804. She served during the Napoleonic Wars in the Mediterranean, the Caribbean, and the North American station. She was sold in 1815.